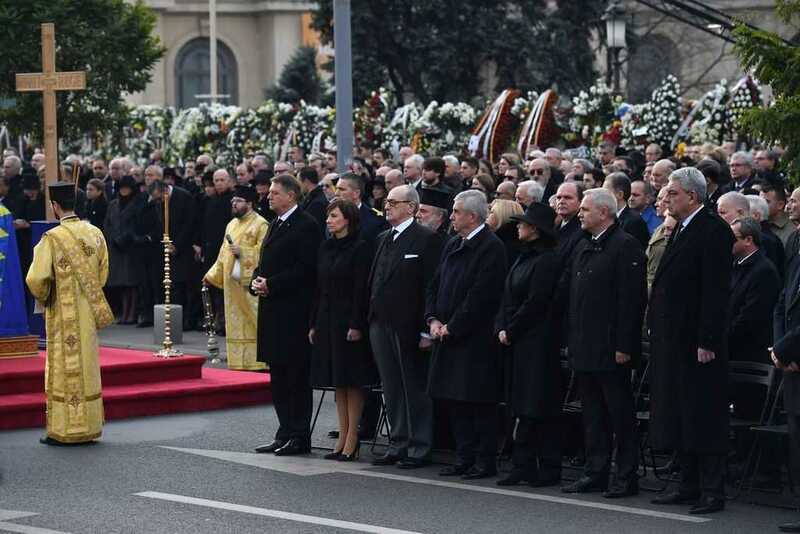 Tens of thousands of Romanians joined European royals to pay their respects to late King Michael who was given a state funeral on Saturday, December 16. 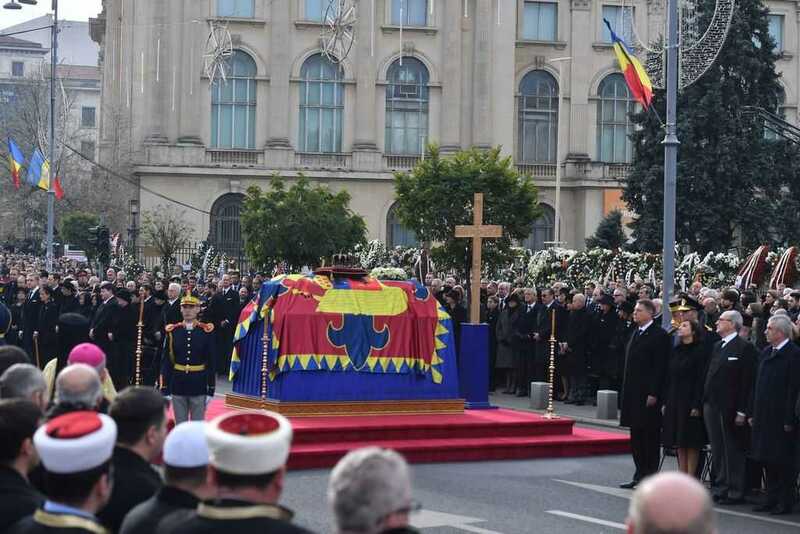 Michael, who ruled Romania twice before being forced to abdicate by the communists in 1947, died at age 96 in Switzerland on Dec. 5. 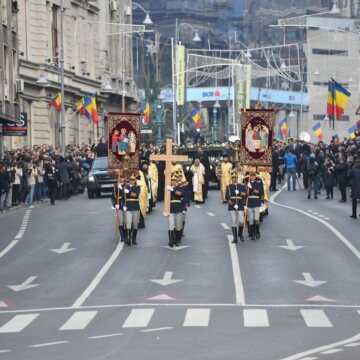 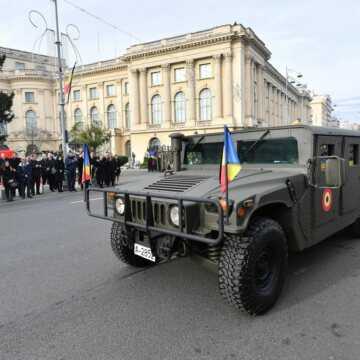 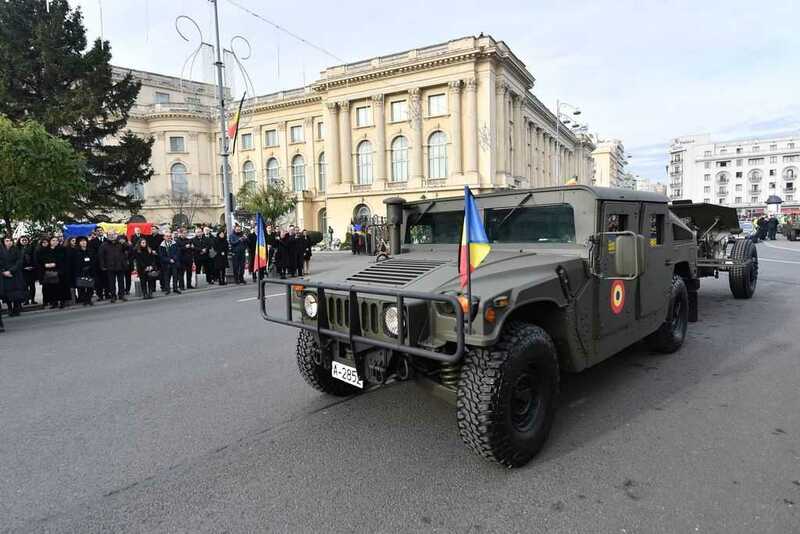 Boulevards downtown Bucharest closed for traffic, alloying to cortege to go from the former Royal Palace, where the casket was placed, to the Patriarchate for a religious ceremony, and later to the Baneasa train station, heading to the burial site. 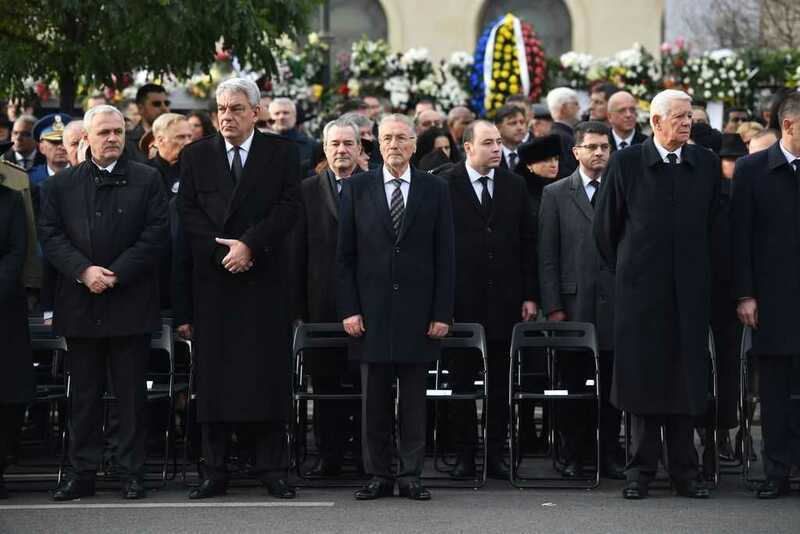 Romania’s president Klaus Iohannis and his wife, as well as prominent politicians also took part in the ceremonies. 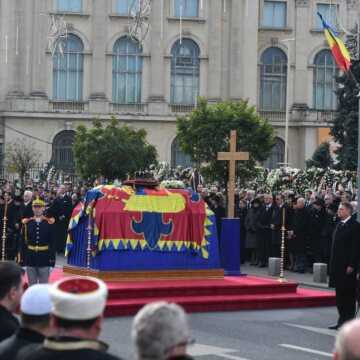 Royalties from all over Europe joined King Michael I’s funeral in Bucharest and in Curtea de Arges, including Prince Charles of Wales, the heir to the British throne and a supporter of Romania’s Transylvanian heritage, including Spain’s former King, Juan Carlos and his wife Queen Sofia, King Carl Gustaf of Sweden and his wife Queen Silvia, Greece’s former Queen Anne-Marie, Henri, Duke of Luxembourg, and Belgium’s Princess Astrid and her husband Prince Lorenz. 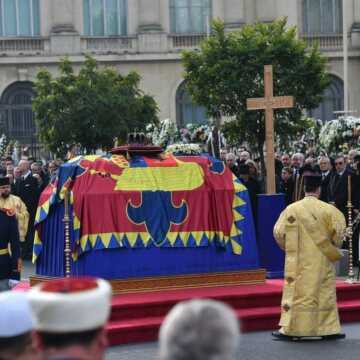 After a brief private religious service, which was officiated in the Throne Hall of the Royal Palace on Saturday morning, and a religious and military ceremony in the Royal Palace Square, the coffin was placed on a gun carriage, pulled in sign of homage by an operating military vehicle. 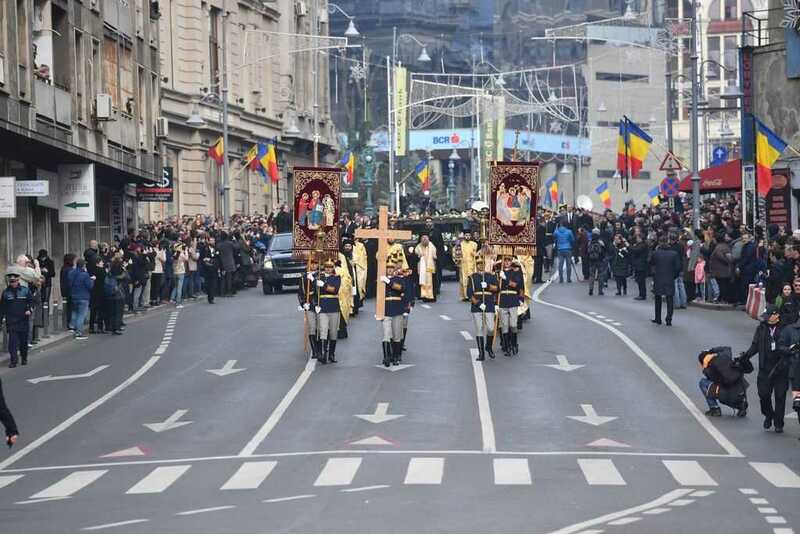 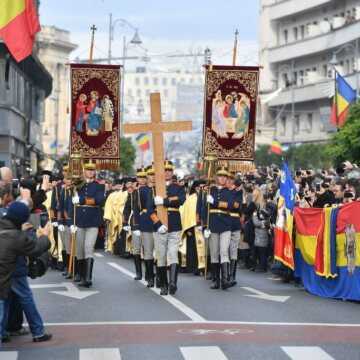 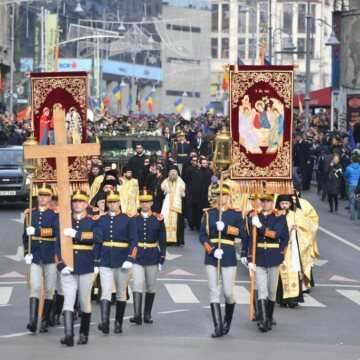 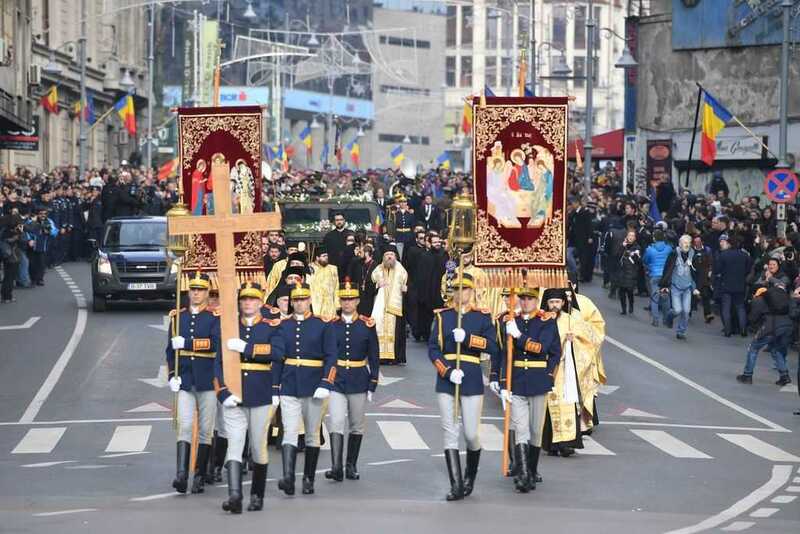 The procession took place on foot, on the route the Royal Palace Square – the Victoriei Road – Splaiul Independentei – Unirii Square – the entrance to the Metropolitan Church Hill. 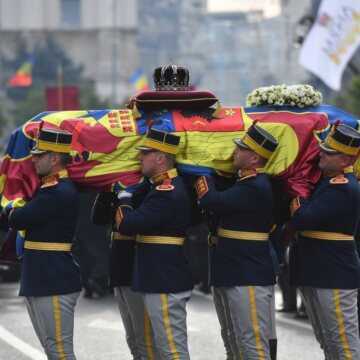 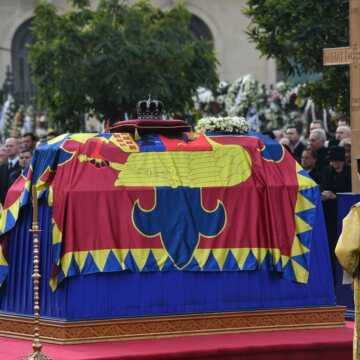 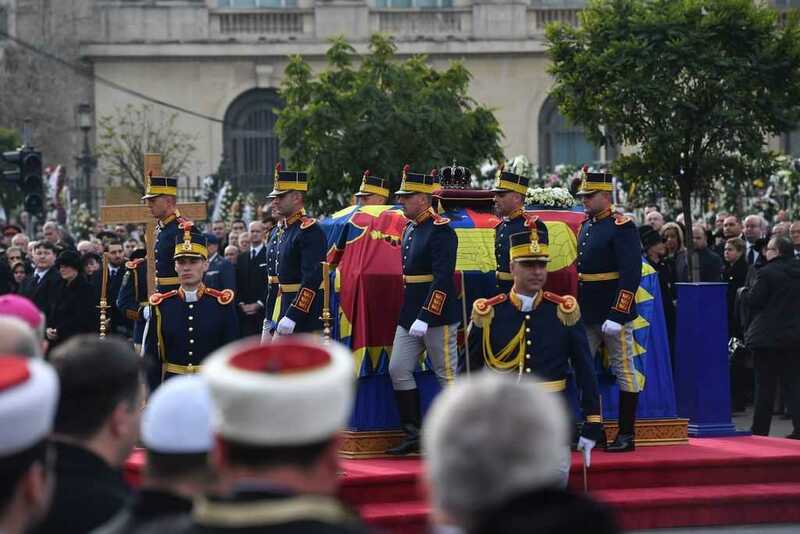 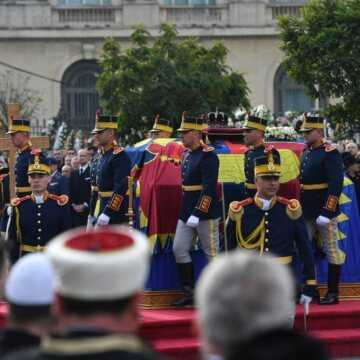 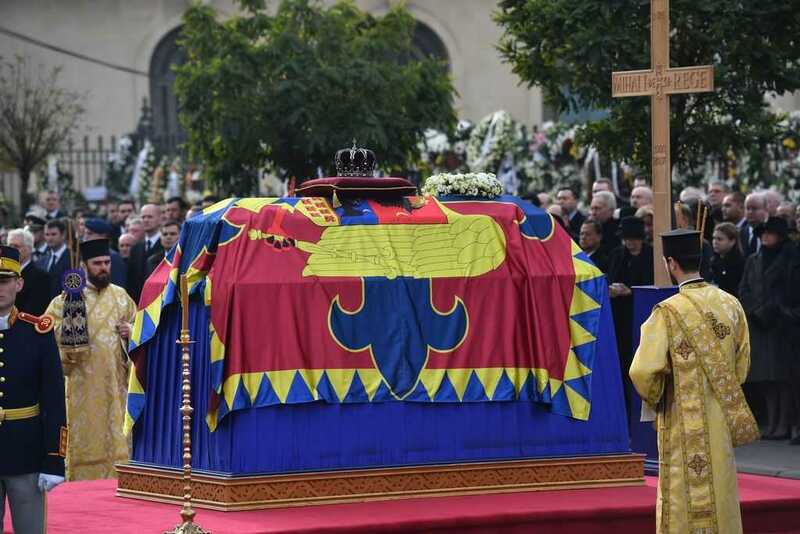 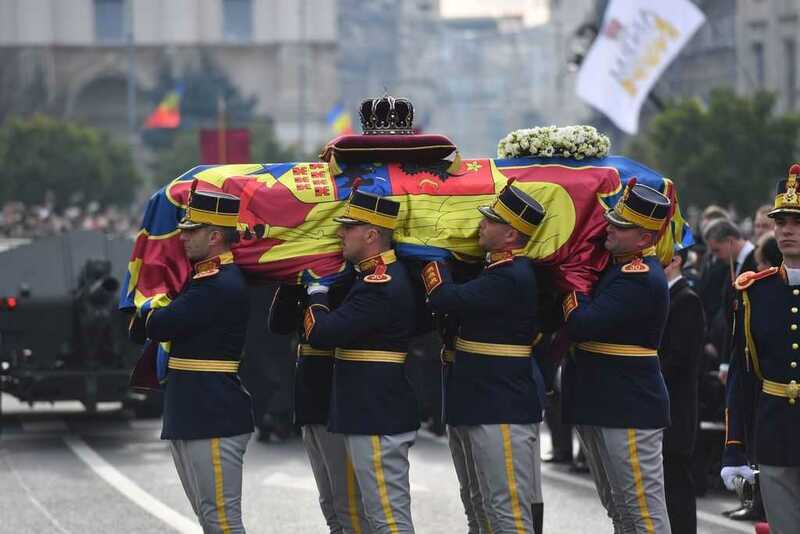 The coffin with King Michael’s body was accompanied on this route by members of the Royal Family of Romania, military and Romanian Orthodox Church representatives. 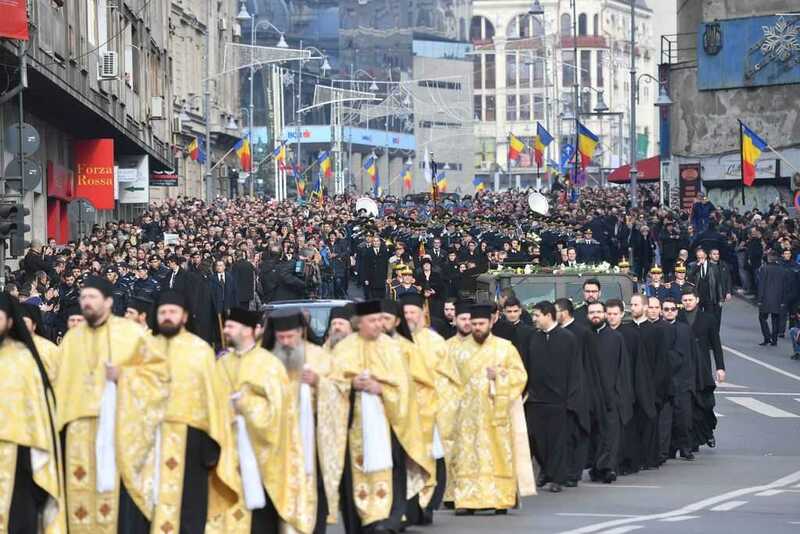 A group of priests walked in front of the funeral convoy. 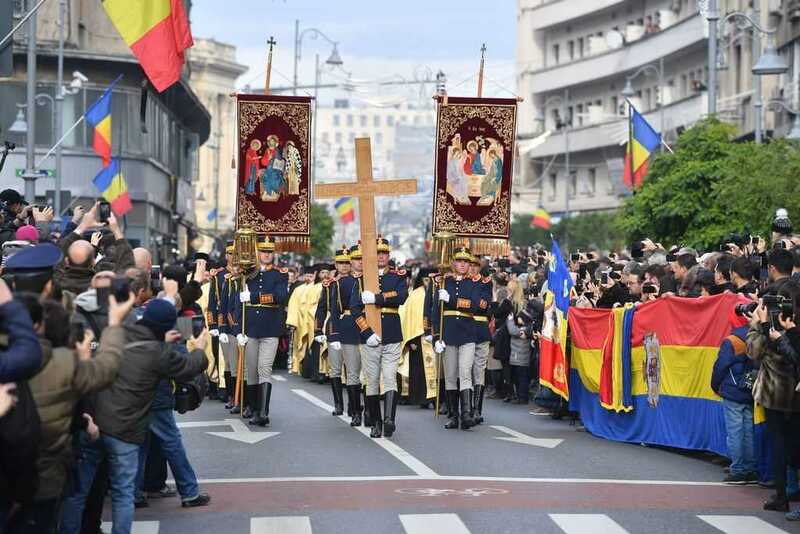 When it reached the Patriarchy Hill, the procession stopped and the thousands of people gathered in the area applauded for minutes and chanted the name of the former sovereign. 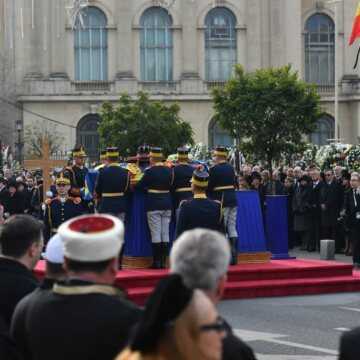 There followed a brief religious and military ceremony, and then the coffin was carried on the Metropolitan Church Hill to the Cathedral where the funeral service was held. 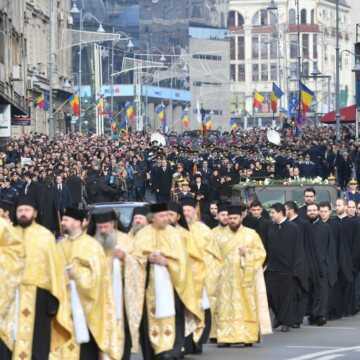 All the way to the Patriarchal Cathedral, people followed the funeral procession, in sign of homage to the former sovereign. 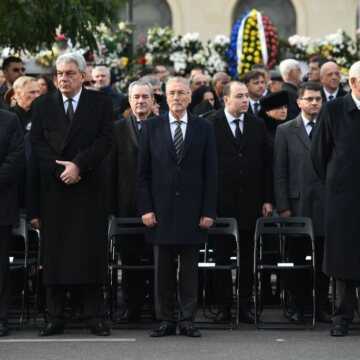 The crowds gathered on both sides of the road, applauded and threw flowers in front of the convoy. 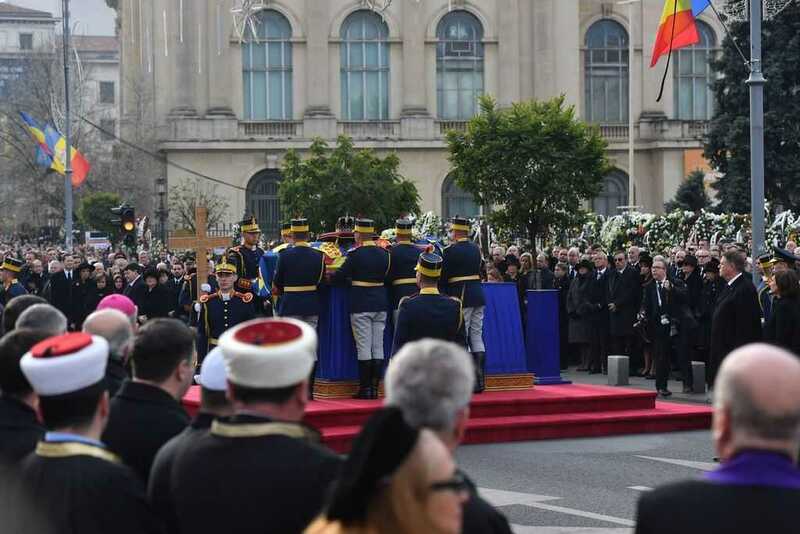 The funeral service was officiated at the Patriarchal Cathedral by His Beatitude Patriarch Daniel. 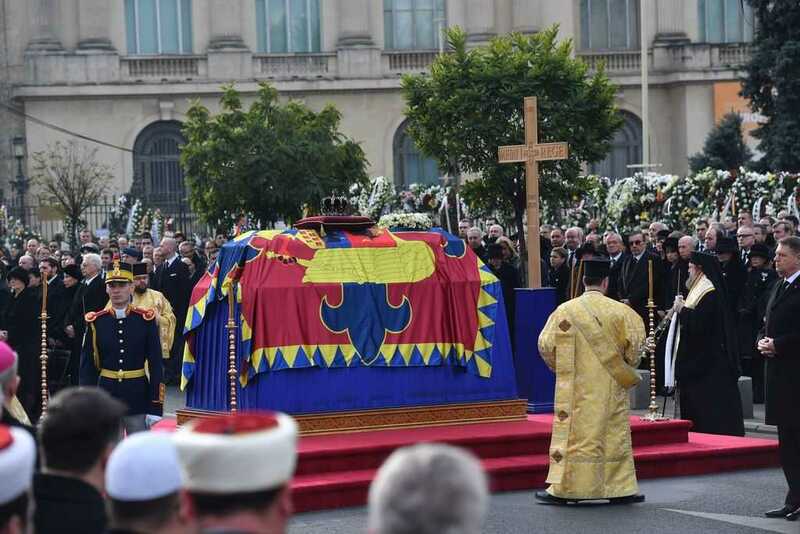 Several members of the Holy Synod of the Romanian Orthodox Church attended the service.